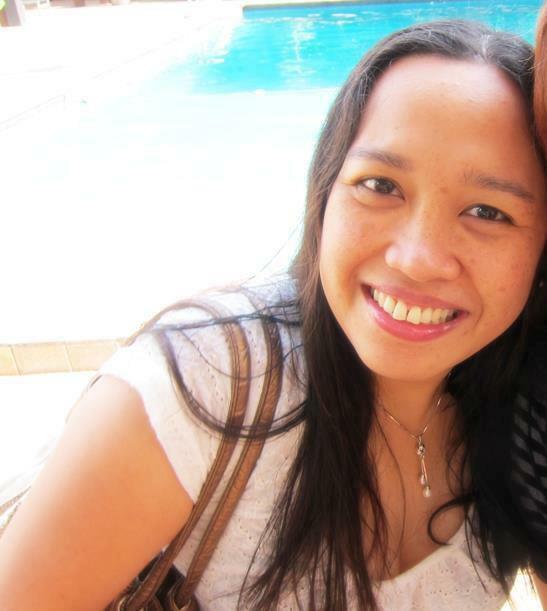 Since the first time I saw pictures of Antoni Gaudi’s work, I had always wanted to visit Barcelona. There’s his iconic Sagrada Familia, the fun Park Guell, the fantastic Casa Batllo, La Pedrera, and many more. Barcelona is a haven for those who love quirky architecture; unfortunately, I wasn’t able to go there when I backpacked solo in Europe for 70 days a few years ago. It took an invitation from the Spanish Tourism Board for me to visit Castilla y Leon before I was finally able to visit Spain. One of the pavilions at the entrance of Park Guell. 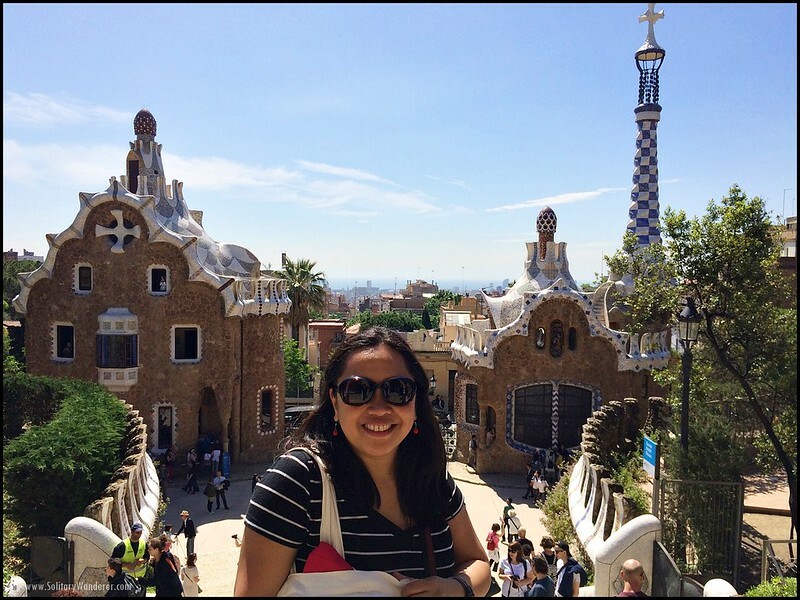 The day after I arrived in Barcelona, I made sure to visit two of Gaudi’s most popular works: Sagrada Familia and Park Guell. 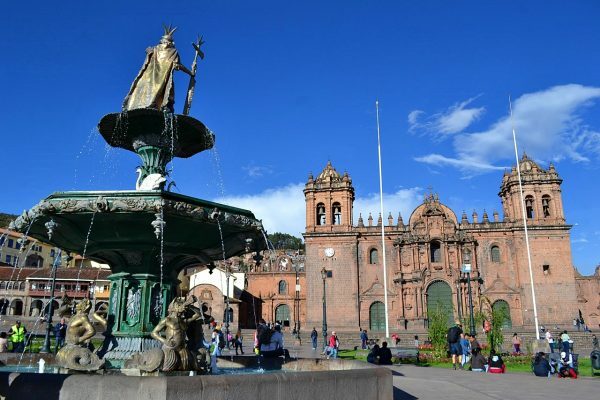 To avoid the long lines, and to know the background of the two UNESCO World Heritage Sites, I used the guided one-day pass of City Discovery. If you want to avoid the hassle of falling in line for hours, use them. Remember, Barcelona is the 5th most visited city in Europe, and every tourist and his mother all want to enter Sagrada Familia and Park Guell. A day trip to Montserrat is very popular, too, among many other day trips from Barcelona. 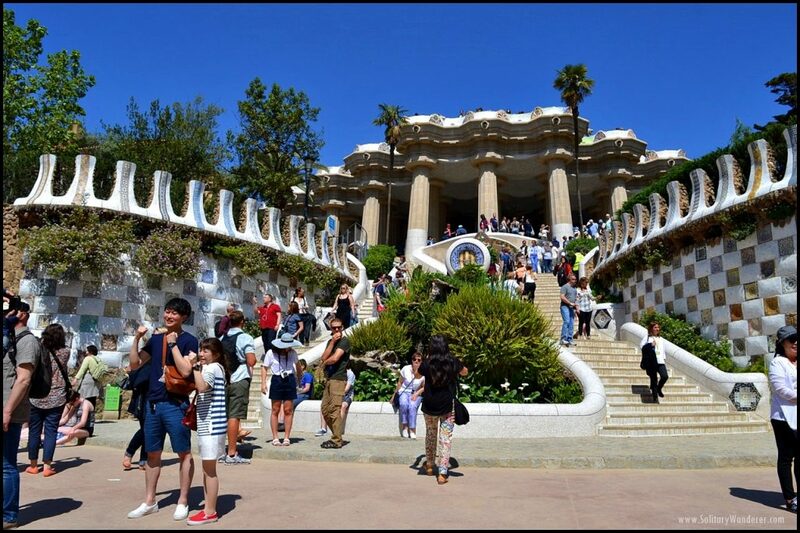 When you enter Park Guell, you’ll see the Dragon Stairway going up to The Greek Theater. Park Guell is one of Antonio Gaudi’s most celebrated masterpieces, one of Barcelona’s top tourist attractions, and one of the world’s most visually stunning public parks. The park is set on Carmel Hill, in the neighborhood of Las Salut. 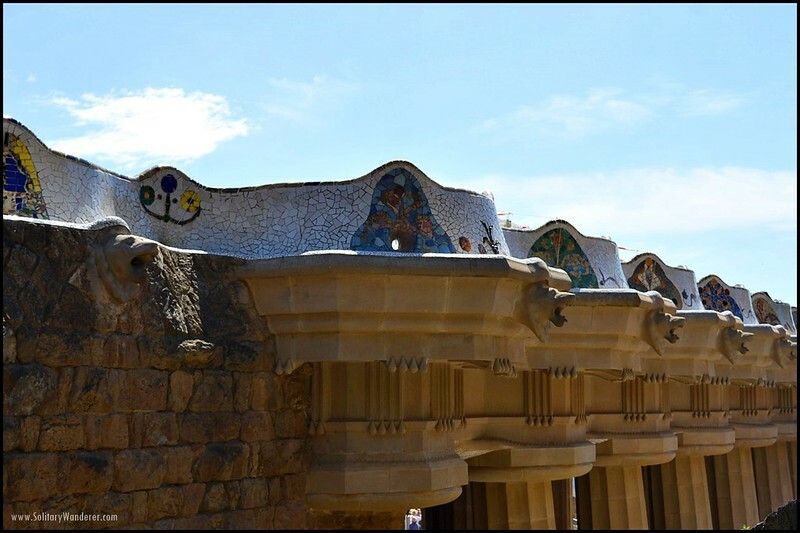 UNESCO declared it a World Heritage Site in 1984, along with a number of Gaudi’s other works. I walked to Park Guell from my hostel (Yeah Barcelona — I highly recommend them, and would even write a separate review one of these days), an uphill walk that took around 30 minutes. I ended up in the wrong gate, walked around for a while, despaired of ever seeing my tour group, when lo and behold, I saw the tour guide — identified by a tag on her shirt — and happily joined them. A worker puts the finishing touches on tiles. 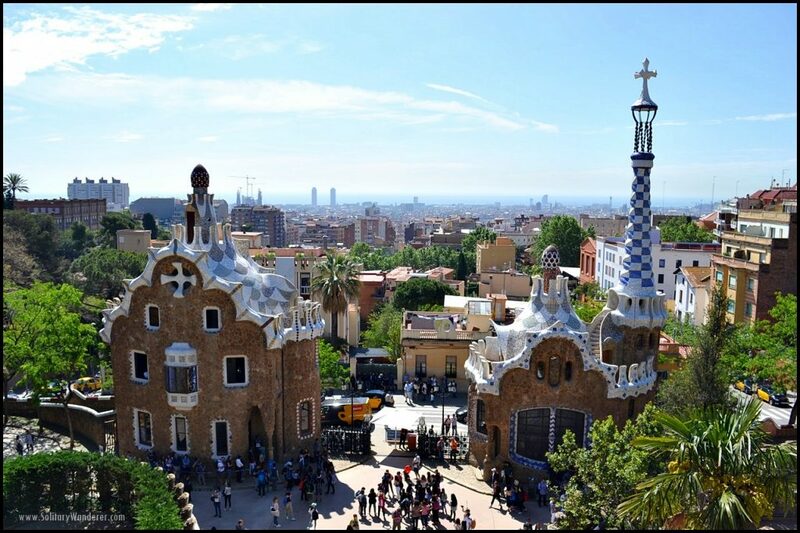 Although there are many fine examples of Gaudi’s artistry (look at Casa Battlo), Park Guell is one of the most whimsical and colorful of his works. There’s colors and shapes galore, capturing his imagination and his individualistic style. Like Sagrada Familia (I will write a separate post on it later), Gaudi may not have been able to fully carry out his plan for Park Guell. Still, what he was able to complete before construction ended was more than enough to make for an impressive and memorable site. Beautiful tile work on Nature Square. Park Guell was originally built as part of a housing site. Inspired by British residential parks, Eusebi Guell set out to develop an upscale, private estate on a hillside property with scenic views and fresh air. Guell hired Gaudi to draw up plans for the park while making room for sixty triangular lots where the residential villas would stand. Construction began in October 1900 and proceeded at a steady pace. By 1903, a number of structures were already in place, including the two pavilions and main steps at the entrance, the outer enclosure, a shelter designed for horse-drawn carriages, and the roadway viaducts. The walkways are supported by columns shaped like trees. The project was abandoned in 1914. Sale of the plots didn’t take off, and out of the 60 proposed houses, only two were built. 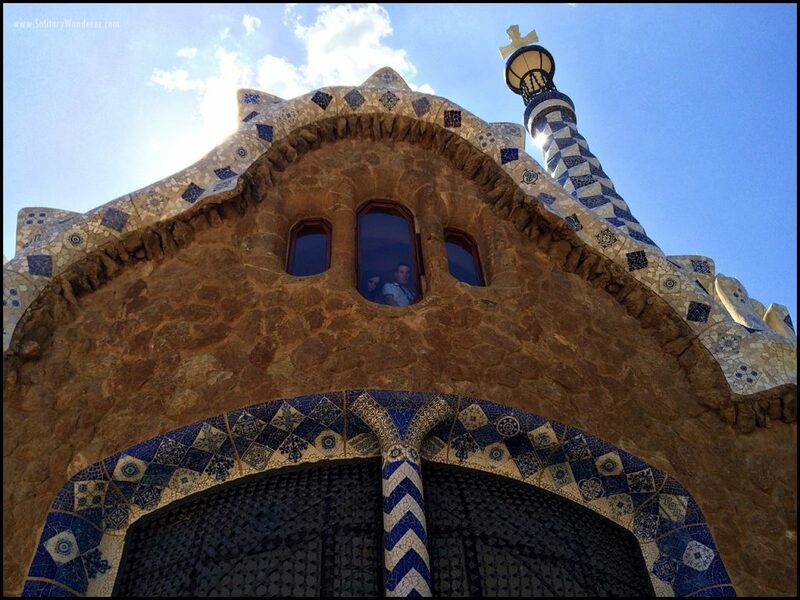 One was built by Francesc Berenguer and that was later purchased by Gaudi himself, who lived there for 20 years. The Modernist house has been converted to a public museum, where Gaudi’s furniture and other memorabilia have been on display since 1963. After Guell’s death in 1918, the park was sold to the city council and officially became municipal property in 1923. It opened as a public park in 1926. 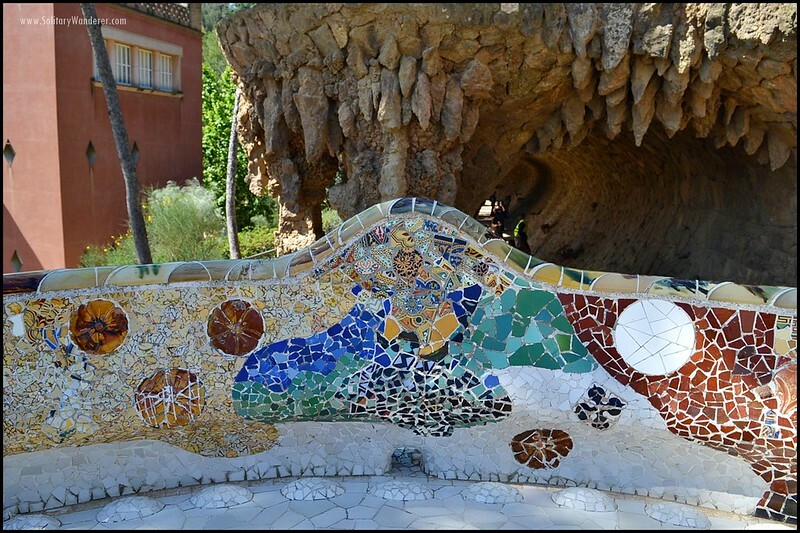 From nature-inspired structures and mosaic tile work to political and religious symbols and mythological elements, Park Guell is as stunning as it is fascinating. It shows off Gaudi’s passion for organic, natural forms. 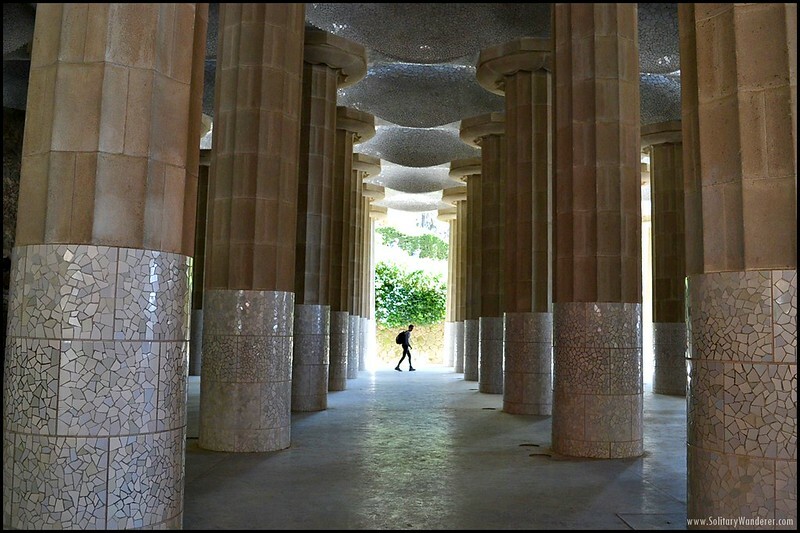 The main entrance is at Carrer d’Olot, on the south side of the park, where two pavilions welcome visitors. The right one (coming from outside) serves as a porter’s lodge and houses a telephone booth and waiting room. The entrance leads to a twin flight of steps, where a giant lizard fountain can be found in the middle. Decorated in colored tile shards, the “smiling” lizard is the most pictured section of the park. The columns supporting Nature Square above. The Hypostyle Room, or Doric Temple, awaits at the end of the stairway. Originally designed as a covered market, it features more than 85 stone columns (some leaning like old bent trees) and small domes with tile-shard mosaics on the ceiling. There are pipes inside the columns that take the rainwater from the square and into the lizard’s mouth, creating a fountain. Is Gaudi a genius, or what? It pays to look up! Some sections have colored mosaics. The roof of the Hypostyle Room is the park’s large central esplanade. Formerly called the Greek Theatre, this terraced area was intended to be a stage for open-air shows. Now referred to as the Nature Square (Plaça de la Natura), it offers sweeping views of the park and other parts of Barcelona. This is where most photos of Park Guell are taken. Yup. Moi at Plaça de la Natura in Park Guell. The square’s centerpiece is a stone bench that curves around the edge of the terrace. Its snake-like shape serves two purpose: it looks good but it is also ergonomic, which makes it great for relaxing and socializing. The back doubles as a balustrade, and the whole thing is decorated with tile shards in different colors and patterns. The ergonomic and colorful balustrade. 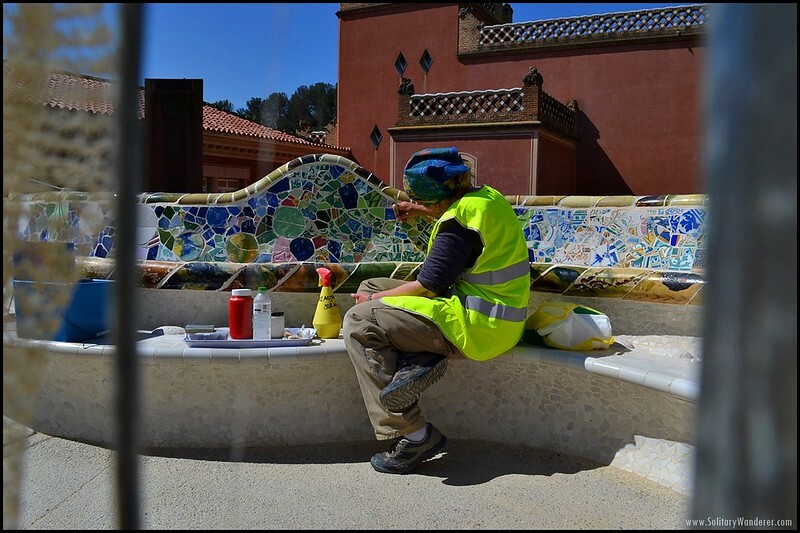 The seat itself is comfortable, too, as Gaudi had one of his workmen sit in soft plaster so he could design the seat ergonomically. He also added small bumps so the seat would dry quickly and people wouldn’t sit on the bench’s wet part after it rains. The water will go down the drain and flow out of the gargoyles’ mouth, making some small fountains. Wish I could be there someday when it rains, it would make for a lovely sight! These gargoyles turn to fountains when it rains. 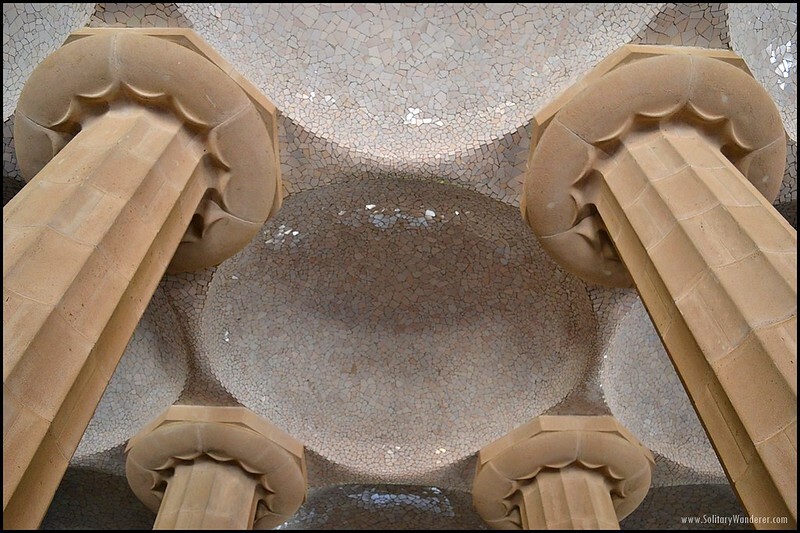 Indeed, all over Park Guell, the structures would remind you of things you will find in nature, but serving specific functions. 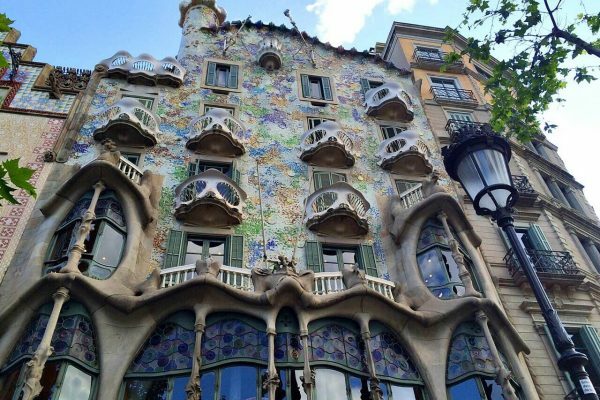 This is the genius of Gaudi — combining inspirations from nature with function and beauty. Park Guell can be reached via bus or by foot. Entrance is free, but there is a fee to access the Monumental Zone, which includes the Nature Square, Hypostyle Room, and Austria Gardens. 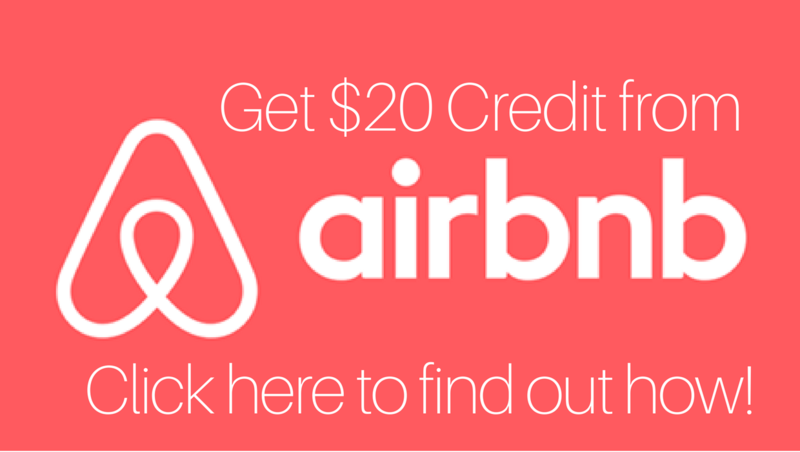 You’ll also need another ticket to see the Gaudi House Museum. 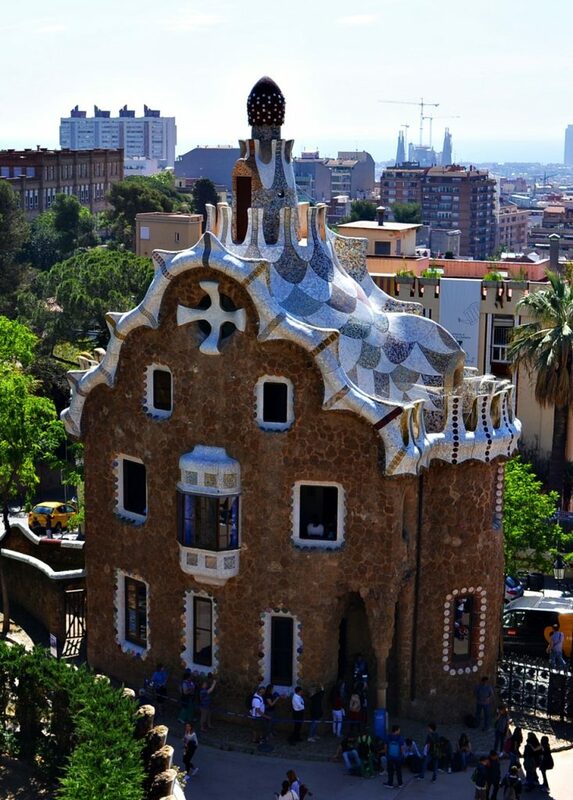 Park Guell is just one of the many Gaudi buildings in Barcelona, and definitely a must to visit. 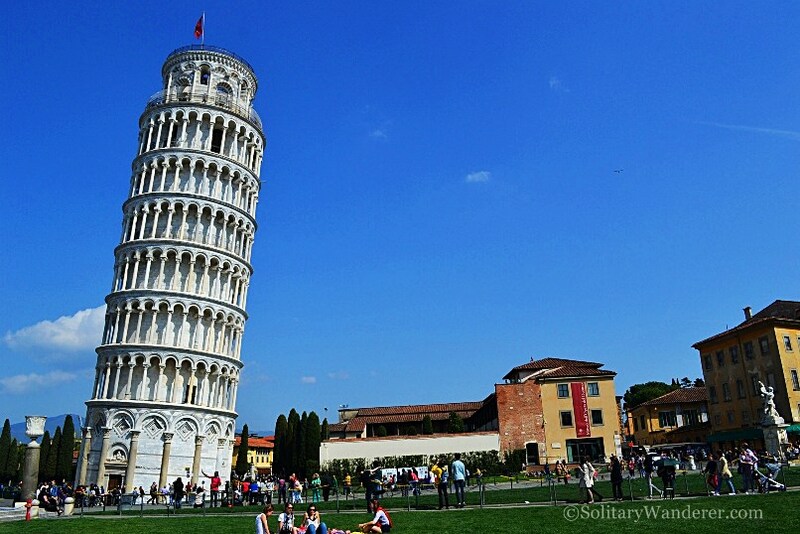 It gets four million visitors annually, and because of its size and location, you’ll probably have to spend at least half a day here to make the most out of your visit. 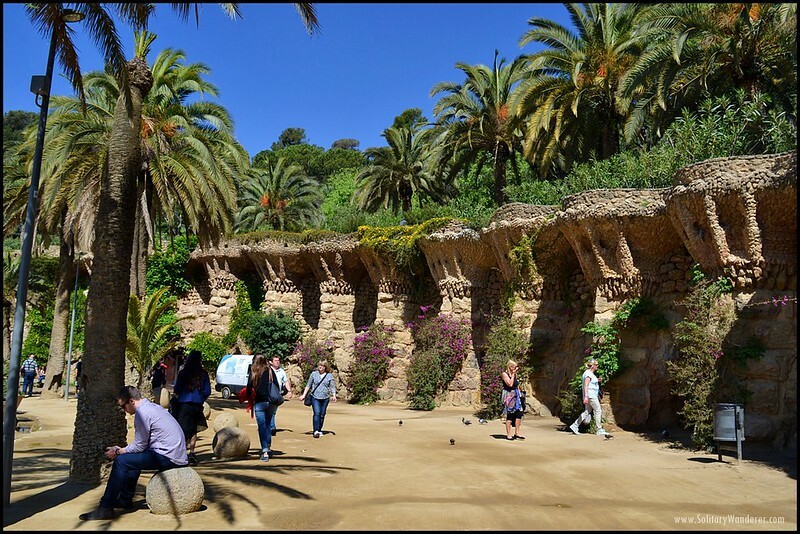 It may not be the private estate that Guell and Gaudi had envisioned, but Park Guell has indeed become one of the most successful and beloved public parks in the world. 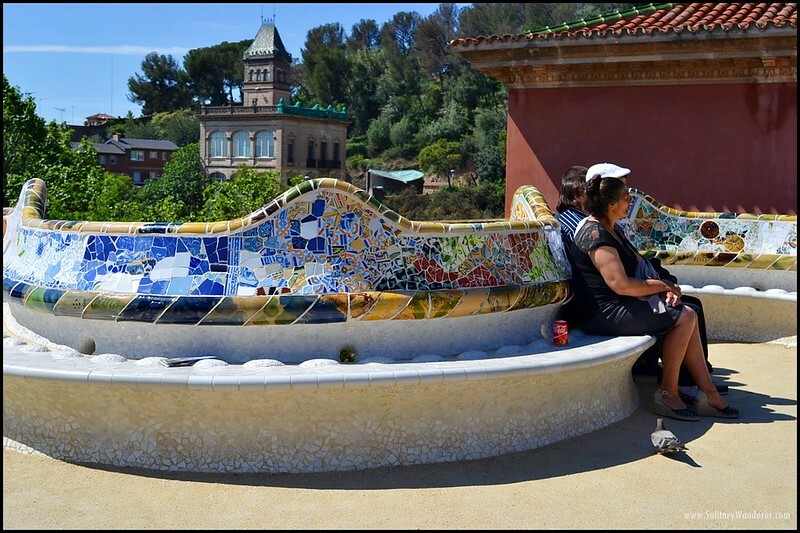 Have you been to Park Guell? What did you like most about it? City Discovery gave me the one day pass free of charge in exchange for this review. However, they have had no say in my write-up and all opinions here are mine alone. I haven’t been there but I looks forward to getting there next year … pumped! Oh it is so beautiful! You would love it. This park gives you the feeling that you landed in Fantasyland or Fairyland. It’s so whimsical and beautiful, you’d feel light and happy after the visit. I agree. That’s what I love about Gaudi the most! Wow! They look like gingerbread houses, dwarven homes, and elven abodes! 🙂 Amazing artwork as well. We would love to visit here. Gaudi’s work really border on fantasy. Love his work!